Missouri weather can be so unpredictable and moody sometimes. I usually have half a dozen jackets left in my car from cold mornings turned warm, sunny afternoons. (And because apparently it is too hard to just bring my jacket back in the house when I get home from work.) After church on Sunday it was just too pretty outside to go in the house, so instead I conned the kids into raking my driveway so they could jump in the leaves. I wonder how long that will work… When do kids realize that raking is work? 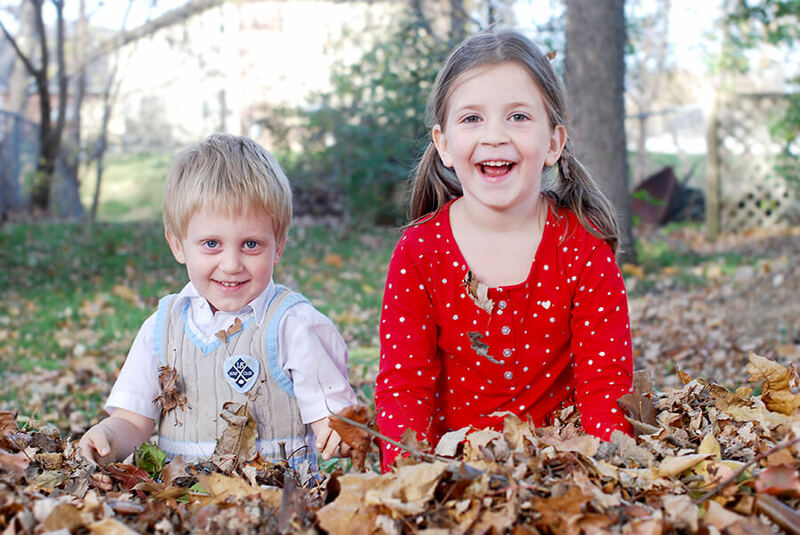 I love how a pile of dead leaves and sticks and rocks and dirt can make these kids just light up with pure joy. They didn’t even mind my paparazzi lens snapping away while they played. The ground was chilly under my bare feet, but I didn’t feel like grabbing my sandals and raking in dress shoes just doesn’t work. They’re weren’t too happy with me when I finally said it was time to go inside. I figured we should probably eat lunch eventually. Shaun is planning on having them help him throw all of these leaves into the back of the truck tonight and I can hear the complaining from here. 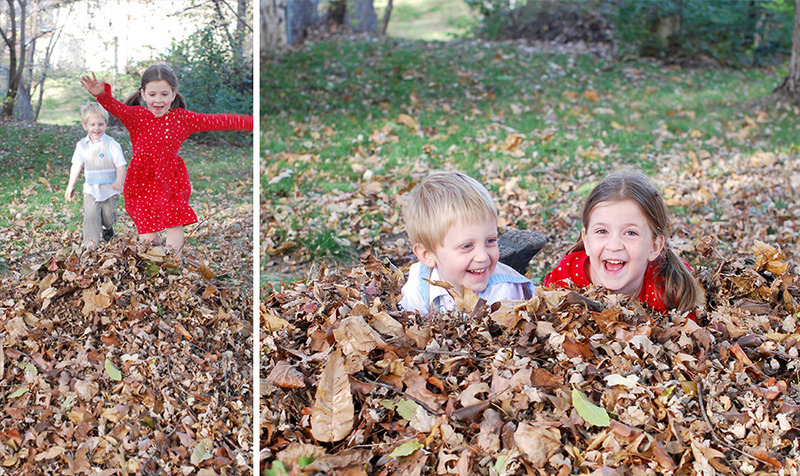 They won’t want to get rid of the leaf pile, but I promised them there would DEFINITELY be more leaves. Our big tree has just barely started changing! Hopefully we’ll have a few more warm afternoons for raking and playing.